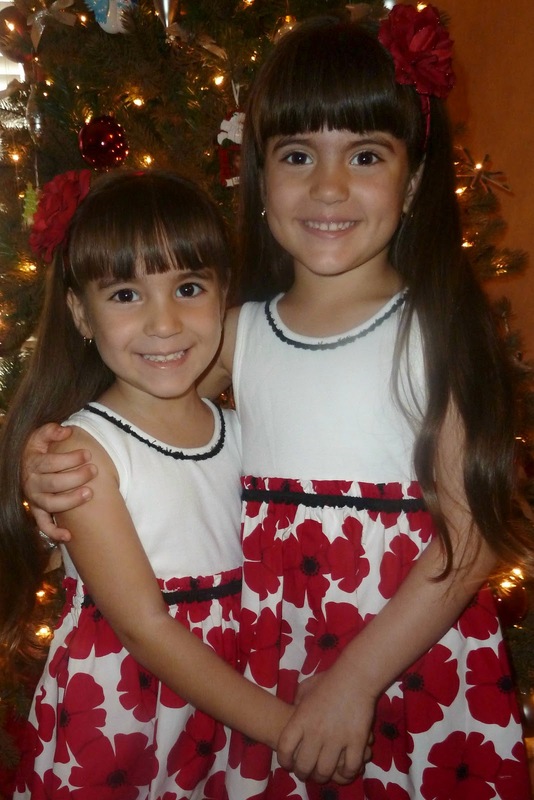 Google+ Mom to 2 Posh Lil Divas: The Magic of Christmas! I might be more excited about Christmas than the Lil Divas (if that's possible). I honestly can't wait to see their faces on Christmas morning as they run down the stairs and catch that first glimpse of THE TREE after Santa's visit! I can vividly recall how wonderful this moment was for me growing up! I could barely sleep the night before and I would always wake up very, very early on Christmas morning! It's funny to feel that way all over again for completely different reasons! Back then it was obviously all about me and what I was getting. Now, it's all about the Lil Divas! Their excitement and pure joy is absolutely infectious and I've got it bad! This year they were both old enough to really get the idea of Christmas and it's been fun experiencing it through their eyes. They cut out pictures from various catalogues and made their lists - their very first! They enjoyed learning and singing Christmas songs, watching holiday movies, doing tons upon tons of crafts and buying and wrapping gifts for others. I have to say that I have enjoyed doing all these things with them so much that it has truly renewed my Christmas spirit! This has always been a favorite time of year of mine, but experiencing it in this whole new way (as a mom) has made it even more magical. Both the girls luk super-cute... lovely dress...!! A very beautiful and memorable photograph ! !